With its primary objective to conserve indigenous vegetation on crown land in the Anglesea and Aireys Inlet area, ANGAIR plays a major role in protecting and preserving this valuable environment through research, propagation and communication with ANGAIR’s 600 members, the broader community and many environmental and land management organisations. Efficient data storage, access and management is imperative. "Thanks to the HMS Trust, ANGAIR has been able to digitally preserve more than 50 years of legacy assets through a contemporary technology platform and a comprehensive data base, to support its future conservation work and community engagement." Peter Forster, President, ANGAIR. ANGAIR has established an extensive collection of digital assets over the years. Upgrading the technology platform on which ANGAIR’s assets are stored was crucial for the organisation’s growing and evolving data and image repositories. 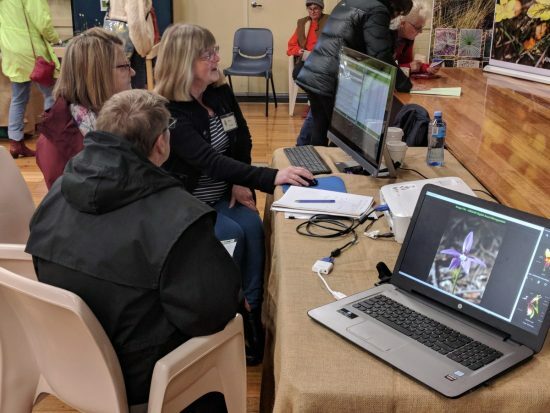 An effective technology platform enables ANGAIR to more readily engage with and contribute to local, regional and statewide organisations and initiatives that are engaged with conservation and preservation of the local Victorian environment. A comprehensive database with associated meta-data ensures easy accessibility of the most appropriate past and future digital assets, and will enable efficient and effective use by volunteers. Upgraded field data collection equipment and software facilitates propagation and research of indigenous plants to support revegetation programs and survival of endangered species. The database is able to contribute and draw from various resources including the Atlas of Living Australia and Federation University/CeRDI’s SWIFFT and Visualising Victoria’s Biodiversity projects.